The Association was first established in 1973 when the representatives of the French, Italian, Austrian, Spanish, Greek, Portuguese and Norwegian concessionaires decided to have regular meetings, under a structured organisation, namely by the creation of the SECAP, the European Secretariat of the tolled motorways concessionaires. SECAP was serving as a privileged forum to exchange knowledge and experiences on the various issues related to the road transport for those companies working in the same sector. At the beginning of the nineties, with the progressive implementation of the internal market and the fast development of the European integration, SECAP members understood that the Secretariat needed a new orientation and structure and decided to build a real Association capable of interacting with the European institutions and to express by a single voice the positions and requirements of the European motorways concessionaires. ASECAP officially became an association on February 8th 1993: its members were the founding seven, namely France (ASFA), Italy (AISCAT), Spain (ASETA, and now SEOPAN), Austria (ASFINAG), Greece (TEO, and now HELLASTRON), Portugal (APCAP) and Norway (NORVEGFINANS). These seven members were operating at that time a tolled network of around 16,000 km. Between 1997 and 2002, the ASECAP network grew at a fast pace: Belgium (N.V. Liefkenshoektunnel), Denmark (the Sund & Baelt Holding A/S - Sund & Baelt brings together A/S Storebaelt, which owns and operates the fixed link between the two big Danish islands Zealand and Funen, and Øresundsbro Konsortiet, which owns and operates the fixed link between Copenhagen in Denmark and Malmö in Sweden), as well as several Central and Eastern European countries, including Hungary (AKA) and Slovenia (DARS) which have since joined the EU, Croatia (HUKA) and Serbia (PE "Roads of Serbia") joined ASECAP during that period. In 2002 the tolled network represented by ASECAP overtook 22,000 km. Another important enlargement was processed between 2003 and 2005. ASECAP welcomed two new Full members: United Kingdom (M6 TOLL, and now Macquarie Motorway Group) and the Netherlands (N.V. Westerscheldetunnel), and an Associate member from Morocco (Société Nationale des Autoroutes du Maroc). On January 1, 2007, Germany (Toll Collect) joined ASECAP. Toll Collect is an entity in charge of collecting tolls on German motorways. In March 2007 ASECAP welcomed one new Full member, namely Poland (Autostrada Wielkopolska), and two Associate members, namely the Czech Republic (KAPSCH T.S.) and the Slovak Republic (Narodna dialnicna spolocnost - National Motorway Company). 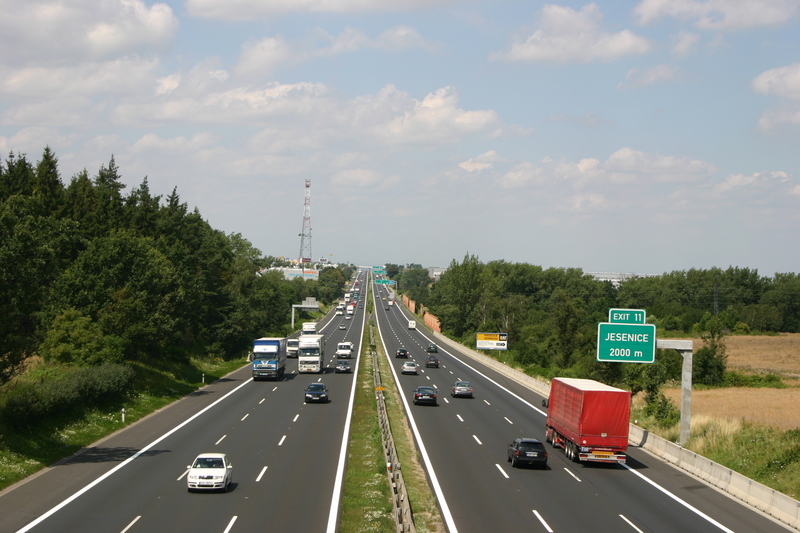 Autostrada Wielkopolska represented its own interests, as well as those of 3 other Polish concessionaires, namely Autostrada Wielkopolska II, Stalexport Autostrada Malopolska and the Gdansk Transport Company, within the ASECAP bodies. Since 2017 the 4 concessionaire companies have been brought together into an association called Polskie Autostrady Koncesyjne (PAK). In December 2007, ASECAP grew to 21 members since the Irish Tolling Industry Association became a Full member. N.V. Liefkenshoektunnel stepped down as a member of ASECAP in January 2010. On January 1, 2013, ASECAP welcomed its 21st member, namely the Russian State Company "Russian Highways"(AVTODOR) that became an Associate member. On January 1, 2016 ASECAP grew to 22 members since Globalvia-Túnel d'Envalira (Andorra) became a Full member. Since 1 January 2018, ASECAP has grown to 23 members: ICA (Turkey) has become a Full member. Furthermore, ASECAP has had, for the first time in its history, a Supporting Partner, UKRMOSTOBUD (Ukraine) since 1 January 2018. Since January 1, 2019 Globalvia-Túnel d'Envalira (Andorra) and Norvegfinans (Norway) are no longer members of ASECAP. ASECAP currently has 21 members. *SECAP (Secrétariat Européen des Concessionnaires d'Autoroutes et d'Ouvrages à Péage) is the former name of ASECAP. SECAP became ASECAP in 1993. ** ASETA merged in SEOPAN in 2014.